George Westinghouse, Jr., 1910-1912. 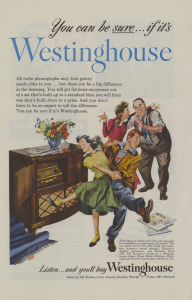 Westinghouse Electric Corporation Photographs, Detre Library & Archives, Heinz History Center. 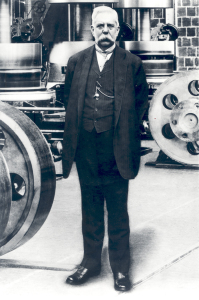 From the invention of the air brake and automobile shock absorbers to the development of railroad signaling and the modern weekend, the Westinghouse story is an integral part of Western Pennsylvania’s 250 year history of innovation. As part of the merger with the History Center, all of the Westinghouse Museum’s archival materials and museum artifacts were added to the History Center’s collections. The History Center’s Westinghouse collection preserves the legacy of George Westinghouse and his many companies and shows the impact his industrial innovations have made on the world from right here in Western Pennsylvania. 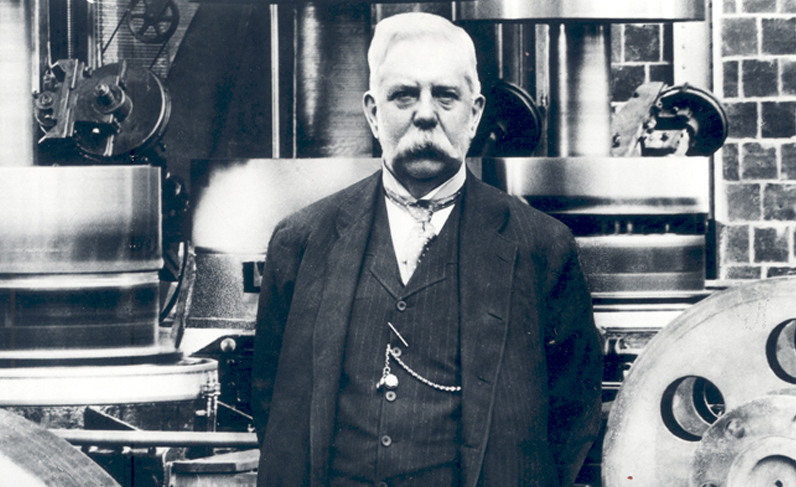 Learn more about George Westinghouse and his influence on the world in the History Center’s Pittsburgh: A Tradition of Innovation exhibition. The exhibit includes full-size reproductions of the Westinghouse robots “Electro” and his pal “Sparko,” and the original duplicate time capsule, which were on display at the New York World’s Fair in 1940. 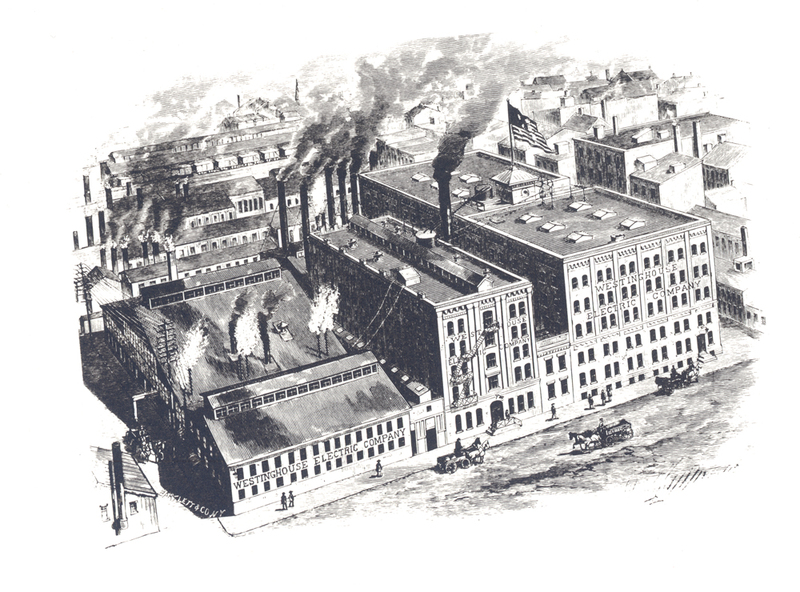 Also in Pittsburgh: A Tradition of Innovation are other artifacts from the Westinghouse Electric Company, The Westinghouse Air Brake Company, and George Westinghouse’s Union Switch & Signal Company, including an air brake. 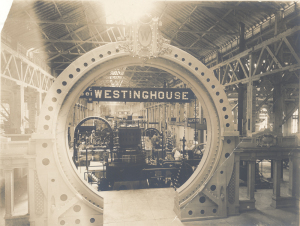 Visitors can also enjoy a touchscreen interactive of George Westinghouse and see a 17-foot Westinghouse sign in the History Center’s first floor Great Hall. 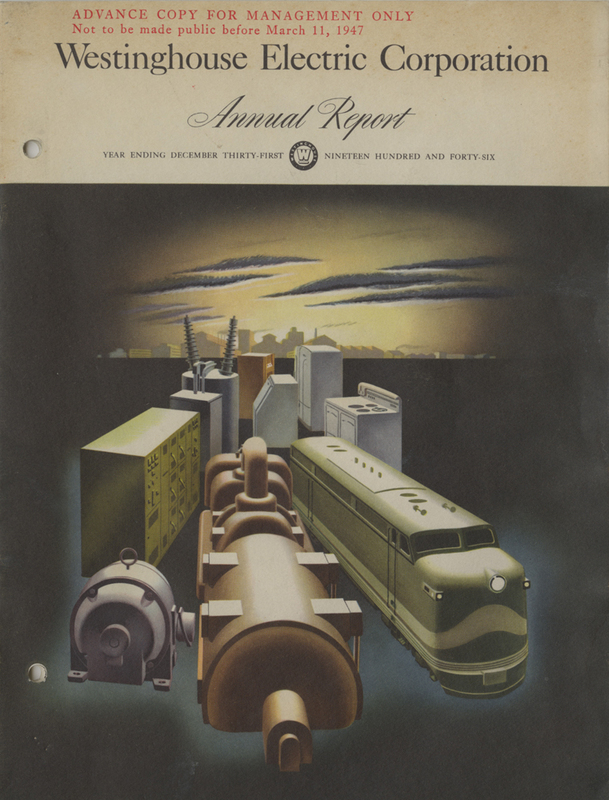 Westinghouse Electric Corporation Annual Report, 1946. 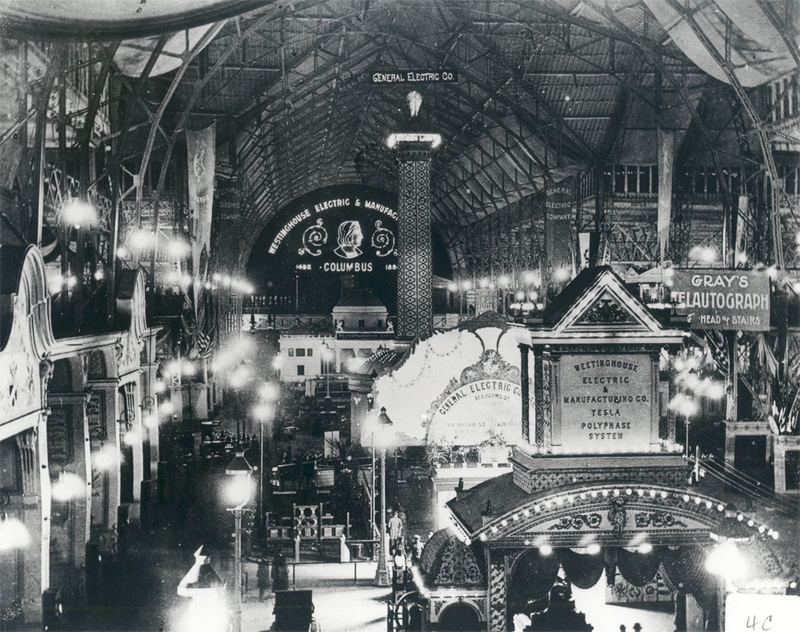 Westinghouse display at Columbian Exposition, 1893. 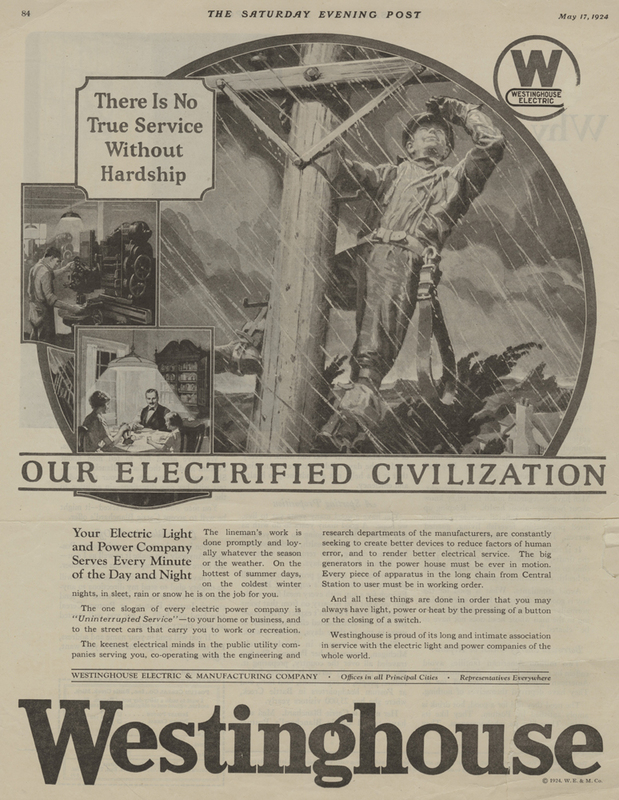 Westinghouse Electric advertisement that appeared in Saturday Evening Post, 1924. 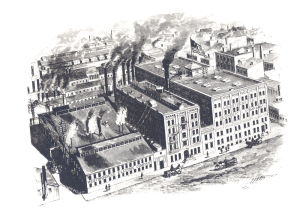 Exterior of first Westinghouse Plant on Garrison Alley in Pittsburgh, Pa., c. 1893. 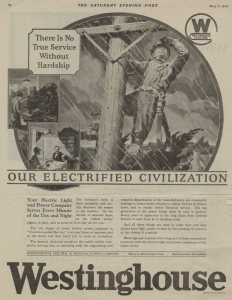 If you are considering donating an object to the History Center’s Westinghouse collection, please contact Emily Ruby at elruby@heinzhistorycenter.org or 412-454-6350. For those interested in learning more about Westinghouse archival materials, please visit the Detre Library & Archives, email library@heinzhistorycenter.org, or call 412-454-6364.